Dr. Wen Chen is a Fellow of Cisco Systems, Inc. providing leadership in Video Technology. He is also an Honorary Professor at the Nanjing University of Post and Telecommunications, Beijing Broadcasting Institute and Tianjin University, and a Special Lecture Chair at National Chung Hsing University of Taiwan. Prior to joining Cisco, Dr. Chen was Board Director and Chief Technology Officer of Komodo Technology, Inc. (acquired by Cisco in 2000) responsible for packet telephony development. Prior to Komodo, he was Founder, Chairman of the Board and President of V-Bits, Inc. (acquired by Cisco in 1999), where he pioneered in the development of the RateMux digital grooming and splicing system. Prior to founding V-Bits, he was Founder and Executive Vice President of Compression Labs, Inc. (CLI), where he pioneered in the development of video conferencing products including VTS1.5, Rembrandt and Cameo and broadcast TV products including SpectrumSaver and MPEG-2 Magnitude. CLI subsequently merged with Vtel, Inc. as Forgent in 1997. During the time he was with CLI, he also served as Adjunct Professor at San Jose State University for fifteen years. Dr. Chen is a pioneer in the field of digital image coding and has received numerous image coding awards including the 2005 IMTC Leadership Award. His accomplishments include the invention of several ground breaking algorithms, such as the Slant Transform for image coding, the fast computational algorithm and convolution theorem for the Discrete Cosine Transform, the Combined Symbol Matching for facsimile coding, and the Scene Adaptive Coding for video coding. The inventions are cornerstone for nearly all the digital video products in the world ranging from videophone, video conferencing system, digital broadcast TV, to digital HDTV. The Combined Symbol Matching algorithm has been adopted by the International Telecommunications Union (ITU) as the Group IV facsimile coding standard. The essential part of the Scene Adaptive Coding has also been adopted by ITU as the H.26x standards and by International Standards Organization (ISO) as the JPEG and MPEG standards. His most recent accomplishment includes the invention of a hybrid variable length coding which is superior to the widely adopted 2D-variable length coding introduced by him nearly twenty years ago. Dr. Chen received his Bachelors degree from National Taiwan University, his Masters degree from Kansas State University and his Ph.D. degree from the University of Southern California, all in Electrical Engineering. He is a member of the EE Advisory Council of SJSU, an honorary board member of the Chinese Information Networking Association, a lifetime member of the North American Taiwanese Engineers’ Association, an advisory board member of AVS and a member of the ITRI Technical Advisory Committee. He is also a board member of Imera Systems Inc. and an advisory board member of Cradle Technologies Inc., MedioStream Inc. and VisualOn Inc. In 1995, he was elected as a Fellow of the IEEE for his contributions to the video coding technologies and their commercial applications. In addition to numerous publications, patents and awards, he has made many appearances at invited speaker engagements. In addition to his contributions to ISMA, Dr. David Singer well-known as a delegate to a number of standards bodies working in digital and networked multimedia, such as MPEG, 3GPP, 3GPP2, W3C, and IETF. Most notably, he has been either the chair or editor (or both) of the file-format specifications for MPEG-4, Motion JPEG 2000, and AVC, and the basic specification -- the ISO Base Media File Format -- underlying them, which is used also by 3GPP, 3GPP2 and others. Since joining Apple in 1988, he has held a number of positions in research and product development for the company, and is currently employed in the QuickTime engineering group. He believes that healthy, mature, industries are built around open standards with multi-vendor support, and that ISMA has a unique role to play in being a coordinating body that brings cohesion to multimedia standards written at ISMA or assembled from other technical organizations. Dr. Singer received his bachelors' degree and Ph.D. from the University of Cambridge, focusing on the handling of time in computer systems. 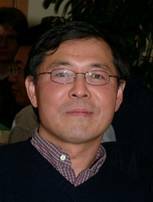 Dr. Wen Gao received his Ph.D. degrees in computer science from Harbin Institute of Technology, China, in 1988, and in electronics engineering from the University of Tokyo, in 1991 respectively. He joined the faculty of the Harbin Institute of Technology since 1985, served as lecturer, professor, chairman of department of computer science. He is joining with Insititute of Computing Technology, Chinese Academy of Sciences, since 1996, serverd as professor, chief scientist, managing director. From year 2000 to 2004, he was pointed as Professor and Vice President in Graduate School of Chinese Academy of Sciences, as well as in University of Science and Technology China. He has published four books and over 300 technical articles in refereed journals and proceedings in the areas of multimedia, data compression, face recognition, sign language recognition and synthesis, image retrieval, and multimodal interface. He has earned three secondary national awards of science and technology achievement in 2000, 2002 and 2003. Dr. Gao was visiting scientist in the Robotics Institute, Carnegie Mellon University, in 1993, visiting scientist in the MIT AI Lab. in 1995, honorary professor in depatment of computer science, City University of Hong Kong from 1995 to 1997. He is adjunct professor in University of Science and Technology Hong Kong, from 2004. He severed as the vice chairman of Chinese Association of Image and Graphics, the vice chairman of Chinese Association of Software Industry, the editor for several journals such as the editor-in-chief of Journal of Computer(in Chinese). Dr. Gao is a leader in some national R&D activities since 1992. He served as the chairman of steering committee for intelligent computing system in 863 Hi-Tech programme from 1996 to 2001. He is the head of Chinese delegation to MPEG. He also is the chair of AVS working group which is an entity to make and evaluate the national standard for audio/video coding system. Lu Yu received her B.S Degree in Radio Engineering and Ph.D Degree in Communication and Electronic Systems from Zhejiang University in 1991 and 1996 respectively. She is currently a Professor of Institute of Information and Communication Engineering of Zhejiang University. Her research interests are video coding, multimedia communication and relative integrated chip design. She is co-chair of both the Video Subgroup and Implementation Subgroup of Audio Video coding Standard (AVS) of China. Nikolaus F?rber received the Diplom-Ingenieur degree (Dipl.-Ing.) in electrical engineering from the Technical University of Munich, Germany, in 1993. He then joined the Telecommunications Laboratory at the University of Erlangen-Nuremberg, Germany, where he received his Doctoral degree (with highest honors) in 2000 as a member of the Image Communication Group, headed by Prof. B. Girod. He has published several conference and journal papers in the area of robust video transmission and has contributed successfully to the ITU-T Study Group 16 efforts for H.263. After being a Post-Doc at Stanford University in 2001 he joined Ericsson Eurolab, Nuremberg, Germany as a member of the speech processing group. Since 2003 he is with Fraunhofer IIS, Erlangen, Germany, where he is heading the Multimedia Transport Group. In 2004/2005 he has chaired the Video Codec Ad-Hoc Group in the 3rd Generation Partnership Project (3GPP) during the adoption of H.264/AVC into Release-6 of the next generation mobile network. Since 2004 he is Technical Committee Chair of the Internet Streaming Media Alliance (ISMA) and has supervised the standardization of the ISMA 2.0 specification, released in April 2005. Hu Ruimin was born in 1964. He received the Ph.D. degree in 1994 from the Electronic and Information Department, Huazhong University of Science and Technology. He is the director of the National Engineering Research Center for Multimedia Software, and the deputy president of Computer School , Wuhan University. He is currently working in the areas of multimedia communication system for both wireless and broadband applications ,such as speech and audio coding, image and video coding, multimedia session protocols,etc. Harald Fuchs is Senior Engineer at Fraunhofer IIS. He joined the Multimedia Realtime Department in 1997, since 2004 he is with the Audio Department. He holds a degree in Electrical Engineering of the Universitity of Erlangen-Nuremberg. He has 10 years experience in video coding, starting from H.263 and MPEG-4 (including object based coding) to H.264/AVC and developed standard based software solutions for PC and embedded devices. For his video coding contributions to the Worldspace digital radio project he won the Fraunhofer price in 1999 together with a team of 35 scientists. He has extensive knowledge of MPEG-4 Systems, Fileformat and IP transport and is also interested in DRM (Digital Rights Management) technologies. His current focus is on interoperability testing of the Fraunhofer IIS video and audio-visual solutions. He contributes to MPEG and ISMA and since 2004 he is ISMA “Interoperability and Conformance Chair” where he is responsible for organizing interoperability plugfests and the ISMA Conformance Program. Huawei Technology Dr. Lianhuan Xiong, a senior technical expert and standard study manager in Huawei Technologies Corporate, Ltd.. His interesting aspects include video telecommunication, video compression, image processing, pattern recognition and so on.. He has published more than 20 papers and has applied 16 China patents number and 7 international patents. Dr. Weiping Li is an IEEE Fellow. He was a founding board member of MPEG-4 Industry Forum. He served as an Editor of the MPEG-4 International Standard. He also served as the Editor-in-Chief for IEEE Transactions on Circuits and Systems for Video Technology. He is currently the Past Editor-in-Chief of this premier journal in video technology. Now he is responsible for the group in Amity Systems developing several patent pending algorithms dealing with the optimization of advanced video technologies such as H.263, H.264, and AVS running efficiently over a distributed network multimedia solution. He most recently served as the CEO of WebCast Technologies from 2000 to 2002. He served as the Director of R&D for Optivision from 1998 to 2000. 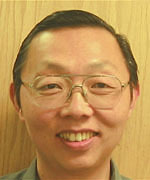 Weiping's education career preceded his commercial career when he joined the Faculty at Lehigh University as an Assistant Professor in 1987. He was promoted to Associate Professor with Tenure in 1993. He was promoted to Full Professor in 1998. He received his Ph.D. and M.S. degrees from Stanford University in 1988 and 1983 respectively, and his B.S. degree from the University of Science and Technology of China (USTC) in 1982, all in electrical engineering. Ye-Kui Wang received his BS degree in Industrial Automation in 1995 from Beijing Institute of Technology, Beijing, China, and PhD degree in Information and Telecommunication Engineering in 2001 from the Graduate School in Beijing, University of Science and Technology of China, Beijing, China. Dr. Wang is currently a Research Engineer in the Multimedia Technologies Laboratory of Nokia Research Center, Tampere, Finland. From Feb. 2003 to Apr. 2004, he was a Senior Design Engineer in Nokia Mobile Phone, Tampere, Finland. Before that, he was a Senior Researcher from Jun. 2001 to Jan. 2003, in Tampere International Center for Signal Processing, Tampere University of Technology, Tampere, Finland. Dr. Wang has been an active participant in different standardization organizations, including ITU-T VCEG, ISO/IEC MPEG, JVT, 3GPP SA4 and AVS. He has co-authored about 90 technical standardization contributions and 18 academic papers. In addition, he has co-invented 25 issued and pending patents, a majority of which has been adopted in different standards in the fields of multimedia coding, transport and applications.His research interests mainly focus on video coding and transport. Michael is deeply involved in AOL's digital media strategy and acts as one of the company's primary technical interfaces to the streaming media industry. He founded the video streaming operations group at AOL, which today supports all of the company's products and services as well as those of many Time Warner companies. Michael has closely collaborated with the Time Warner CTO to support strategic technology projects for several of Time Warner's media companies, including Warner Music Group. He is actively involved in AOL's streaming technology planning. In an effort to drive interoperability and lower distribution costs, he and his team are now working to standardize key parts of Ultravox, AOL's own streaming technology platform. Michael brings to the ISMA the unique perspective of one of the largest aggregators and distributors of rich media content delivered over Internet protocols and as such, one of the largest customers for streaming products. His goal is to help the ISMA produce standardized, commercially viable products that large content providers and CDN operators may leverage to drive new and profitable products and services into the marketplace. Michael has a BA in Economics and Environmental Studies from the University of California, Santa Barbara. Chief Scientist, ContentGuard, Inc. Xin Wang, PhD, is the Chief Scientist of ContentGuard, Inc., a spin-off in the year of 2000 from the Xerox Palo Alto Research Center, based on the Digital Rights Management (DRM) project he had been working on since 1996. He is one of the key contributors to the ContentGuard’s XrML (eXtensible rights Markup Language), which is the base for the MPEG’s REL (Rights Expression Language) standard, and the primary author of the Contract Expression Language (CEL) for the Content Reference Forum. He has about 10 years of industry experiences on DRM, security and system architecture. He is also an adjunct faculty member of the Department of Computer Science at University of Southern California, where he teaches and researches in the areas of algorithms, security, parallel and distributed computing, and computer languages. He can be reached at xin.wang@contentguard.com and xwang@cs.usc.edu. Yuval is chief scientist and co-founder of Envivio, which has one of the broadest collections of ISMA-compliant products on the market. He is currently the lead editor of the MPEG-4 Systems specification, and was the Chair of the MPEG-4 System Conformance Group and Advanced Text and 2D Graphics Group. He has consulted and published in various applied and theoretical fields, including data encoding and compression. In 1997 he became involved with MPEG-4 standardization, and has since introduced a number of key technologies and coding schemes into the standard. As a consultant, Dr. Fisher worked on several MPEG-4 implementations for participating MPEG-4 companies, including Rockwell International, Conexant, and France Telecom. He believes there are existing and emerging markets that will benefit from ISMA's standards-based specifications, and can draw from experiences both within ISMA and other standards bodies to help promote the ISMAs vision and goals. Dr. Fisher holds degrees in Mathematics and Computer Science from Cornell University.